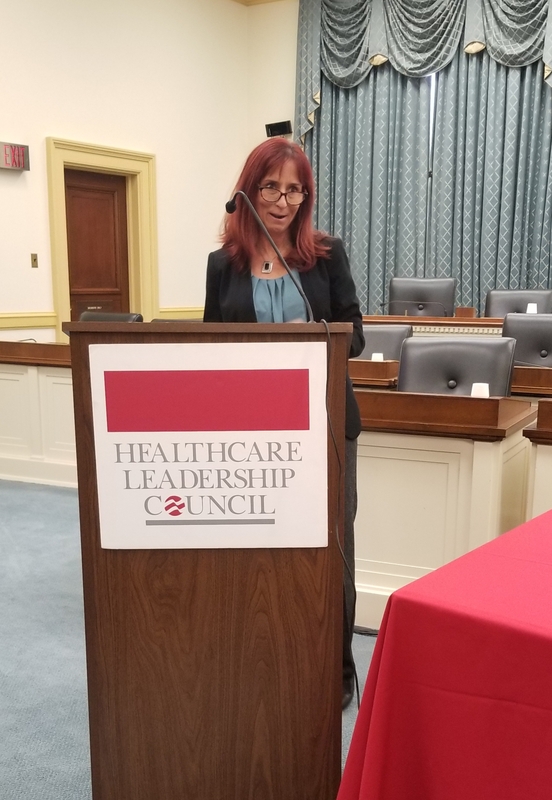 HLC routinely hosts Capitol Hill briefings and events and webinars featuring HLC members and their innovative practices to elevate quality and value in the healthcare system. Many of the events highlight examples from HLC’s compendium, The Future is Here: Transforming American Healthcare through Private Sector Innovation, which contains over 50 metric-supported examples of healthcare innovations that are improving patient care quality and safety. Webinar: What Healthcare System Does America Need? Experts will describe the role of the private sector in advancing healthcare quality and innovation, how consumer choice and competition drive value, and the potential ramifications various proposed new models have for healthcare delivery. Learn how health information is protected across a variety of settings and HIPAA’s relevancy to the changing landscape of health information privacy and security. How do healthcare organizations prioritize the needs of patients and ensure high-quality care? Come listen to care delivery experts describe their approaches to keeping the patient at the center of healthcare decision-making. Interoperability of health IT systems, information sharing, and data access play a critical role in improving health outcomes, lowering health care costs, and improving the patient experience of care. Join the Bipartisan Policy Center, Healthcare Leadership Council, and chief executives across health care, who will share their vision for an interoperable health system, key priorities, private sector actions, and ways to measure national progress on interoperability. For more information or to register for HIMSS19, which extends from February 11 to February 15, 2019, please visit www.himssconference.org. Experts will discuss healthcare employment trends, what is different about the incoming talent, and how to keep a workforce healthy and engaged. This luncheon briefing highlights how real-world data is used to advance evidence-based medicine, improving quality of care, value, and patient safety. Experts will provide examples of successful innovative approaches to improving standards of care. This luncheon briefing highlights how evidence-based medicine, as adopted through clinical practice guidelines, promises to improve quality of care, value, and patient safety. Experts will explain how steady, systemic improvement in clinical standards of care, based on the best research, improves our health system. Bipartisan legislation that incentivizes development, promulgation, and integration into medical practice will be discussed. The effects of hurricanes and other natural disasters are more devastating than commonly realized. In addition to protecting access to healthcare facilities, manufacturers must maintain production capabilities to avoid shortages of medicines and critical supplies. Experts will discuss necessary actions to avoid disruption of care. An expert panel will discuss how the Medicare Part D prescription drug program has evolved since its implementation just over a decade ago and the impact it is having on Medicare beneficiaries. Curious to see how the newest innovations are being utilized (or not) in healthcare? Experts will provide a blockchain 101 and delve into cybersecurity. Learn how healthcare organizations can assist in providing access to basic needs associated with health and wellness. Lack of nutrition, electricity, transportation, and health literacy can all be impacted by the innovation of the private sector, with the additional benefit of cost savings. Patients will be better served by considering the value of all healthcare interventions across the healthcare continuum. Experts will discuss the utilization of value assessment frameworks, ACO models, value based contracting and purchasing, and lessons learned. Meeting rising patient demands in a constantly-changing value-based healthcare system necessitates a modernization of the healthcare workforce. Panelists will explore graduate medical education, interstate licensure, and other issues affecting healthcare access and quality. Leading experts are coming together at HLC’s HIT Symposium to discuss how the private sector is forging ahead on interoperability, and how they will meet MACRA’s 2018 deadline. Lunch Will Be Served & Ice-Cream! 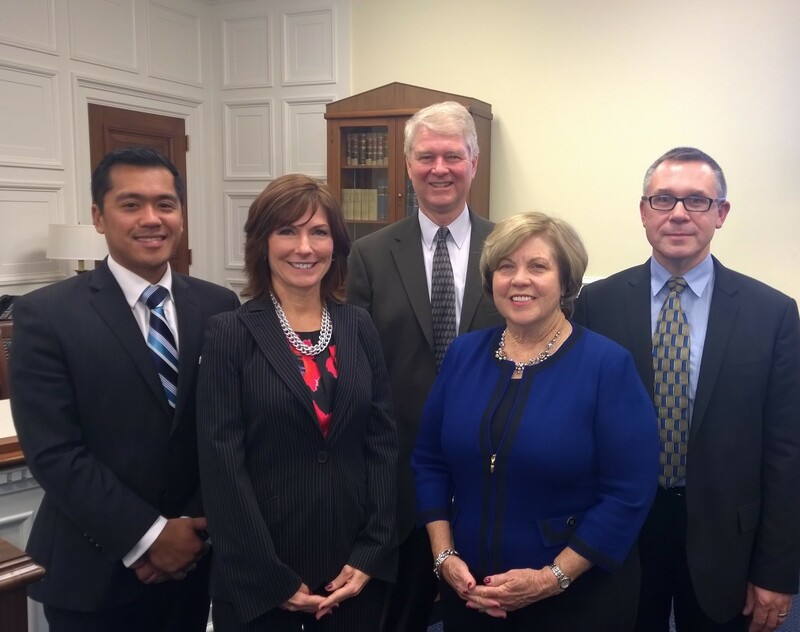 What Does the Independent Payment Advisory Board Mean to Medicare Beneficiaries? The CMS Actuary predicts that IPAB will be triggered this year, which will mean required cuts to the Medicare program. Come hear from representatives of the patient and healthcare community about the IPAB’s significant ramifications and the bills in Congress to repeal it. Congressional Perspective – Aaron Bill, Legislative Director & Counsel Congressman Phil Roe (R-TN), M.D. Innovation does not have to lead to increased healthcare costs. There are a variety of examples in which private sector innovation has generated greater value for patients and the healthcare system. Members of both political parties introduced legislation in Congress last week calling for the repeal of the Independent Payment Advisory Board (IPAB), a group of presidential appointees charged with making cuts to Medicare once the program reaches an arbitrary spending level, which experts agree will happen this year. To learn how you can add your voice and organizational support to IPAB opponents demanding repeal, register now for tomorrow’s Webinar, Wednesday, March 1st (2 p.m. ET). On the Webinar, groups representing patients, doctors, and hospitals will provide an update on where legislation stands in Congress and what 650+ groups, as part of the Protect My Doctor and Me initiative, are doing to make sure IPAB is repealed immediately. Speakers will share easily customizable materials to help organizations play an active role in safeguarding Medicare. Register today to learn more about how you can get involved. William M. Remak, Founder and CEO, California Hepatitis C Task Force, Inc. Please RSVP to Denton Baird at dbaird@MessagePartnersPR.com or 202-868-4833. Follow the group’s efforts on Twitter at @MyDrAndMe. • Stanley Stead, MD, MBA, CEO and Founder, Stead Health Group, Inc.
As the U.S. healthcare system continues to move toward value-based care delivery and payment models, policy and implementation challenges arise with the existing federal fraud and abuse legal framework. The number of drug-resistant infections is growing, threatening the health of patients worldwide. Experts will present solutions and discuss next steps to be taken to slow this dangerous trend. Learn how health information is protected across a variety of settings and HIPAA’s relevancy to today’s challenges. The briefing was sponsored by Takeda Pharmaceuticals USA, Inc /Lundbeck LLC and New York-Presbyterian Hospital. 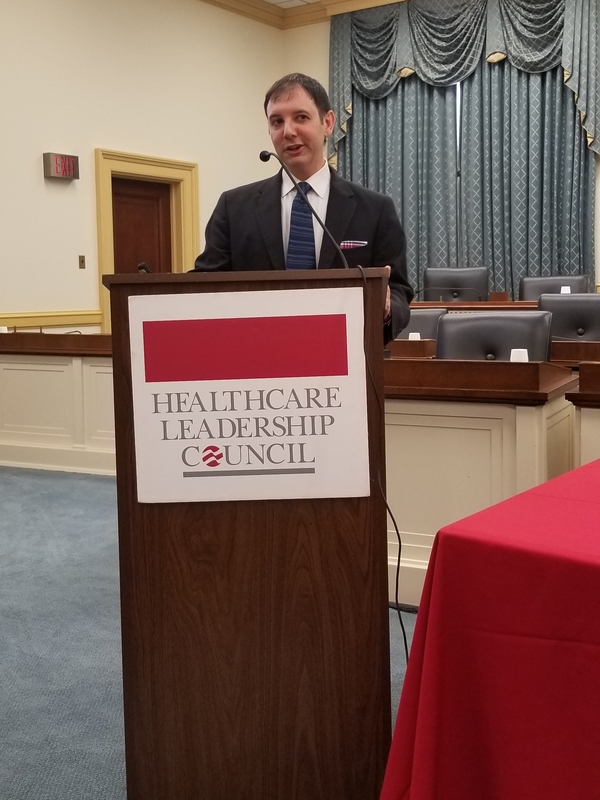 HLC hosts this yearly event at which members of Congress & congressional staff can experience the new tools, technologies & practices being developed by HLC member companies & organizations. Hiring STEM Professionals Out of School by U.S. Manufacturers – just how difficult is it? toward better care coordination and patient engagement. Hear from health leaders about meaningful, doable steps to accelerate innovation and enhance quality today. A discussion of clinical practice guidelines, improving quality of care and patient safety, and advancing evidence-based medicine. and treat disease at an individual level. What is Medicare Advantage? Who is enrolled? How does it work? What is myth and what is fact when it comes to Medicare Advantage. Diane Laird, MPH, Chief Strategy Officer, MemorialCare Health System and CEO, Greater Newport Physicians.